Poisoned by a new Vertigo variant, Oliver Queen is running amok. Hallucinating that his dead loved ones have come back to haunt him, Ollie put a major hurt on John Diggle, who was just barely able to escape to the Arrow Cave. 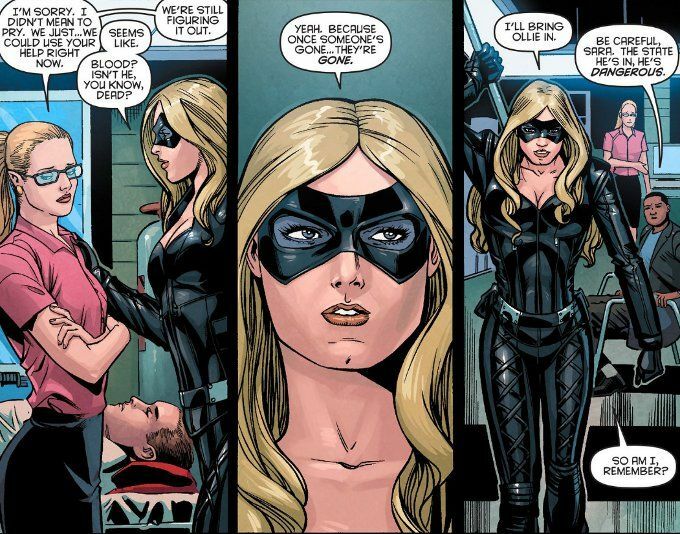 Good thing Sara Lance just got back into town and The Canary is on the case! There isn't much action to this issue of Arrow: Season 2.5 and what action there is proves surprisingly brief. Another surprise is that Joe Bennett seems to be a little off his game this week, with some of his characters oddly posed throughout the book - particular Canary in her fight with Arrow! Still, Marc Guggenheim delivers some fun and witty dialogue as Round Two with Brother Blood and his followers is set up. More, he appears to drop some hints regarding a certain mastermind with a league of his own and how it might be possible for several characters thought dead to have come back. I fear I'm becoming a broken record with this comment but I have to say it again. The only thing wrong with the Suicide Squad back-up comic is that it is too short! 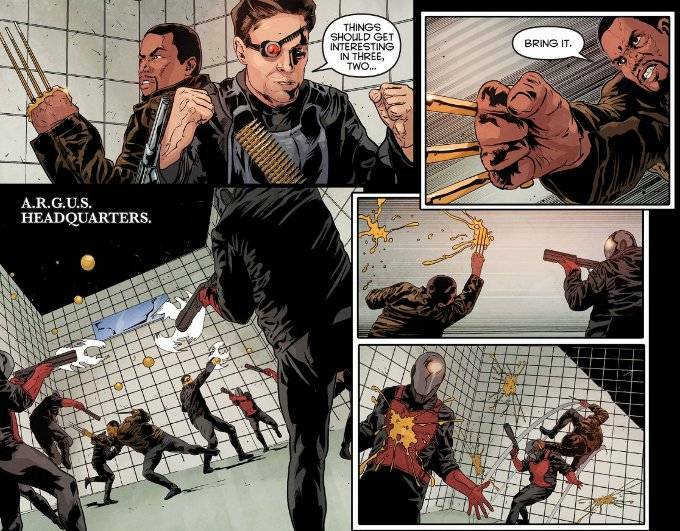 Szymon Kudranski's artwork is amazing and Keto Shimizu's script manages to convey the personalities of both Deadshot and Bronze Tiger, though they barely have any dialogue at all!